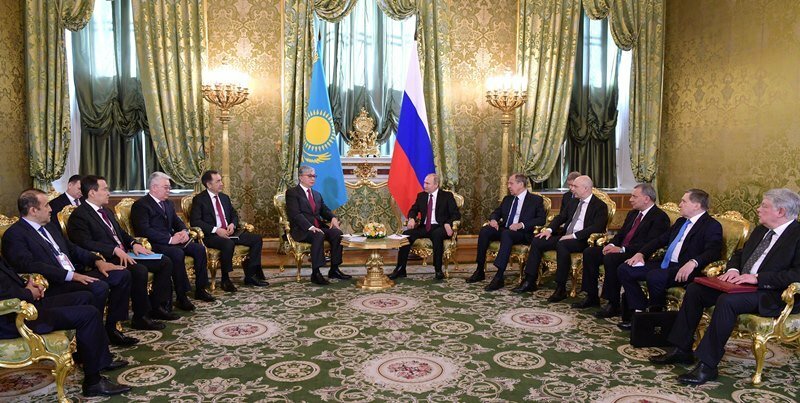 NUR-SULTAN – Kazakh President Kassym-Jomart Tokayev and Russian President Vladimir Putin noted the positive state of bilateral relations April 3 in Moscow and agreed to simplify cross-border trade during Tokayev’s first foreign visit as the head of state. 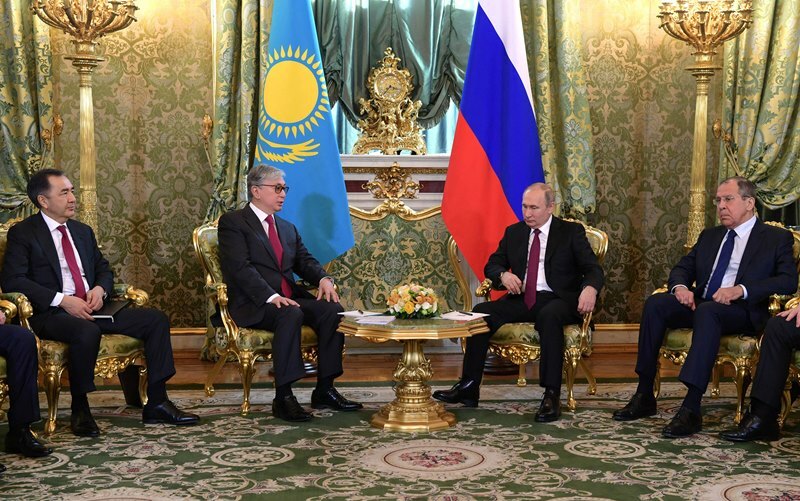 L-R: Russian President Vladimir Putin adnd Kazakh President Kassym-Jomart Tokayev. Photo credit: akorda.kz. “I intend to ensure the continuity of the policy of the First President of the Republic of Kazakhstan – Elbasy Nursultan Nazarbayev and also to continue the work on the comprehensive and active development of Kazakh-Russian cooperation,” Tokayev told Putin at the start of their meeting in the Kremlin. 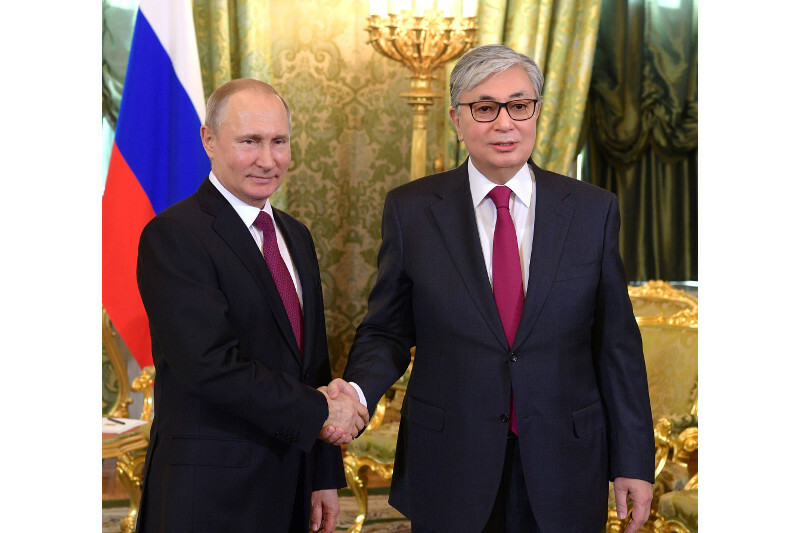 Putin said Tokayev’s visit demonstrates a desire to deepen cooperation and ensure the continued friendship between the peoples of both nations. Following the talks, Tokayev and Putin held a joint press briefing in which President Tokayev briefed the media on recent political changes in Kazakhstan and underlined his intention to develop existing ties with Russia. “The joint statement reflects a mutual desire to strengthen the comprehensive Russian-Kazakhstan strategic partnership, and sets serious tasks for its further development,” said Putin referring to a joint document adopted by the two heads of state. Kazakh President Kassym-Jomart Tokayev and Russian President Vladimir Putin discussing bilateral relations at the Kremlin. Photo credit: akorda.kz. The two nations also signed a programme of joint actions in the industrial sector to increase the production of tractors, buses, cars and other vehicles, as well as create jobs in Kazakhstan. 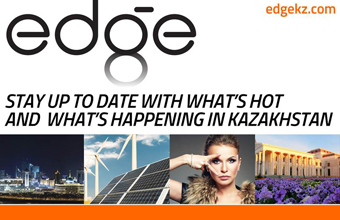 Russia is Kazakhstan’s number one foreign trading partner with a 19 percent share of Kazakhstan’s commodity turnover. More than 9,000 businesses with Russian capital operate in Kazakhstan, approximately one third of the total, and are involved in approximately 100 joint projects in the petro-chemistry industry, light industry, agriculture, the automotive industry and railway engineering. Tokayev also said the two countries plan to strengthen transport and transit cooperation and improve border checkpoint efficiency to increase interregional trade and facilitate the movement of residents. Kazakhstan also seeks to utilise the “Western Europe – Western China” highway, which connects the East and West of Eurasia through the two countries, said Tokayev. The sides also reviewed cooperation in the fuel and energy sector, the military-technical and space fields and signed an agreement for Kazakhstan to provide gas to the Baikonur space complex. The Kazakh President also noted that improvements to transport and logistics infrastructure and the promotion of local resorts are needed to optimise cross-border tourism. Both presidents agreed that the meeting was fruitful and will strengthen relations. Putin also noted that the meeting was also a continuation of the positive relationship established under the first Kazakh President. “I want to note that the talks were held in a constructive and business environment in full accordance with the traditions that have developed over the years of our fruitful collaboration with the founder of the modern Kazakhstan, the First President of the Republic of Kazakhstan Nursultan Nazarbayev,” said Putin adding that more than 450 documents create the legal basis for the bilateral relations. In their joint statement, the Tokayev and Putin reiterated their satisfaction with the state of political, trade-economic, defence and military-technical, cultural and humanitarian interaction and reaffirmed adherence to all previous commitments. “The Republic of Kazakhstan and the Russian Federation develop allied relations and integration cooperation as equal and sovereign states on the basis of mutual trust, strategic partnership and all-round cooperation, guided by the principles of mutual respect for state sovereignty and independence, equality and non-interference in internal affairs, non-use of force or threat by force, territorial integrity of states, inviolability of borders, peaceful settlement of disputes, diligent implementation of international obligations to protect human rights and fundamental freedoms,” reads the statement. The statement also notes that the bilateral relationship is based on deep historical and spiritual ties between the peoples of the two countries, meet the national interests of both countries, contribute to solving the problems of improving the well-being and quality of life of their citizens, promote sustainable socio-economic development, enhance the competitiveness of national economies based on the widespread introduction of innovative technologies, rational use of labour resources, and more complete development of human potential. The document also touches upon cooperation in regional security, holding open political dialogues, supporting cross-border interaction and the 16th Forum of Kazakhstan-Russia Interregional cooperation at the end of 2019. The statement also noted that the government bodies of both countries will cooperate to create a joint Baiterek space rocket complex based on the existing Baikonur Cosmodrome. While in Moscow, Tokayev also met with Chairwoman of the Federation Council of Russian Federation Valentina Matvienko.